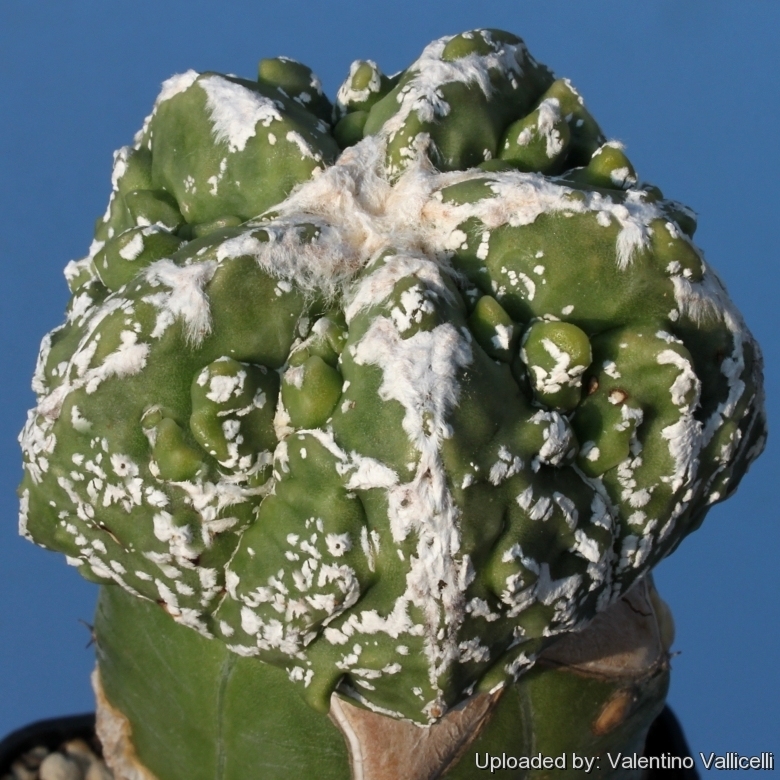 Description: This rare cultivar is an hybrid involving Astrophytum myriostigma cv. Fukuryu (type B) and Astrophytum myriostigma cv. Hakuun and maybe other undefined species and cultivars. It shows some interesting intermediate features of both the parents. 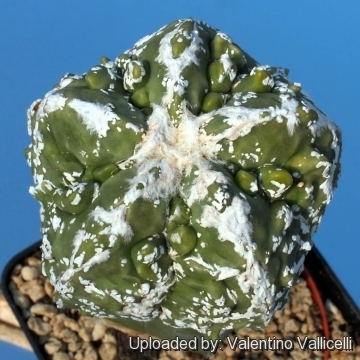 Cultivation and Propagation: Astrophytum myriostigma cv. Hakuun Fukuryu is easy to grow. It is sometime seen as a grafted plant but grows very well on its own roots too. Remarks: This quite variable plant has been widely grown for years and is now available in several cultivated variety and several breeds do exist.